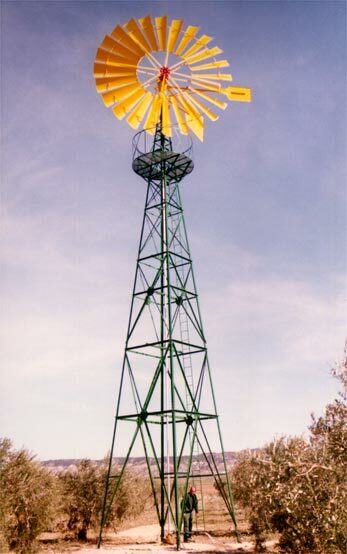 Windmill with 5 meters of diameter of the wind-wheel. The height of the tower is 15 meters and has a round platform, security banisters and stairs. The basis of the tower is 3.02 meters per side. With a windspeed of 12 m/sec generates a power of 6,200 watts. B-15030 36 11500 7100 3"